Al Sharpton told Meet the Press host David Gregory Sunday morning about his plans to pursue civil rights charges against George Zimmerman, following the latter’s acquittal Saturday night for the murder of Trayvon Martin. 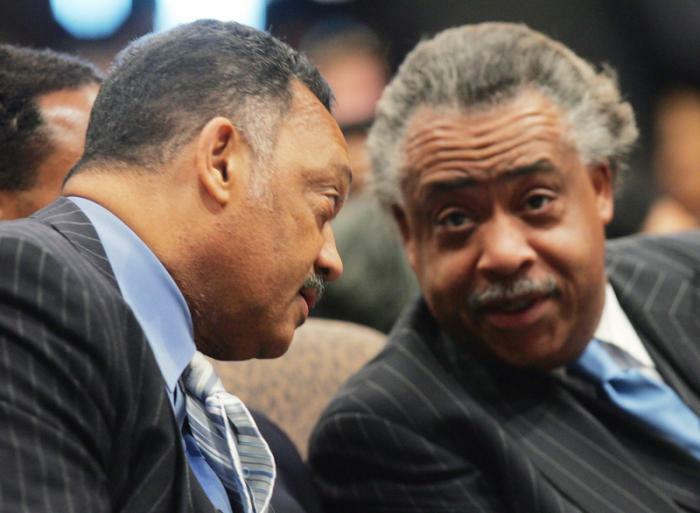 “Clearly there are grounds for a civil rights charges,” Sharpton told Gregory. Al Sharpton won’t rest until justice is served. Sharpton, a key figure in metastasizing the shooting into a national issue in March of 2012, said he and Martin’s family had planned from the beginning to ask for a federal investigation if Zimmerman was let go. “Was this not a fair trial?” Gregory asked. Sharpton referenced a march he and Martin Luther King Jr.’s grandson would be having in honor of the anniversary of Dr. King’s “I Have A Dream” speech. “How do we have this country deal with Dr. King’s dream fifty years later, and you can’t walk an innocent child through a neighborhood without the child being harmed, let alone killed?” Sharpton asked. This entry was posted in 15 Minutes of fame, Al Sharpton, Barack Obama, Breaking news, Civil Rights, Florida, Give me the microphone, Here we go again, Media circus, Murder one, Tragedy and tagged Al Sharpton, Florida, Here we go again, Martin Luther King Jr, Meet the Press, Sharpton, Trayvon Martin, United States, Zimmerman by dp@large. Bookmark the permalink.